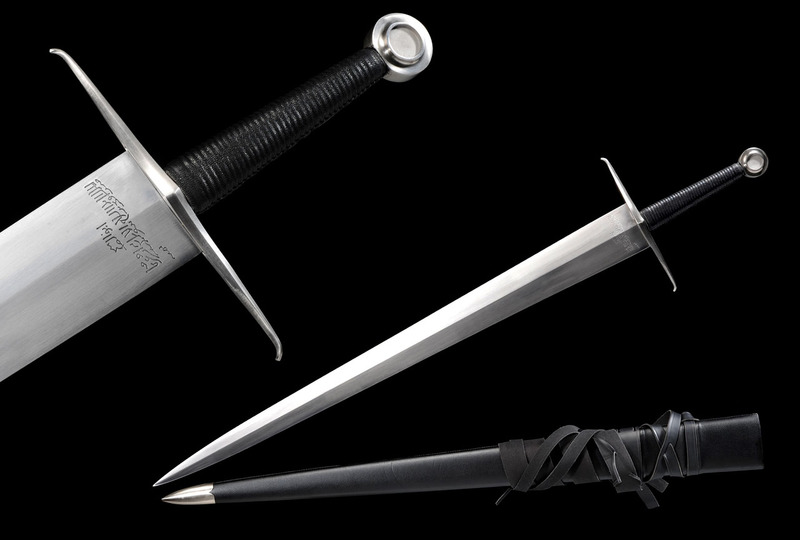 While currently smaller than our range of Eastern Swords, our selection of hand forged European swords have a reputation for toughness and durability. 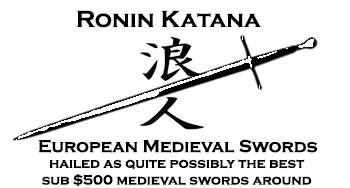 Ronin Katana's European Sword line has set a new standard for sub $500 medieval swords - solid construction, excellent tempering, great handling - and amazing pricing. 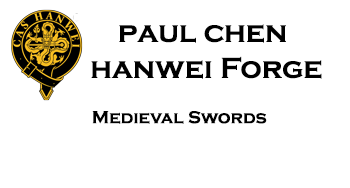 As noted by YouTube sword reviewer Skallagrim 'finally a sub $500 medieval sword line I can recommend'..
LIMITED EDITION Two Handed, with Wheel Pommel Medieval Sword based on the historical Harriet Dean Sword - 1075 TH carbon steel blade, No Fuller. Powercutter. 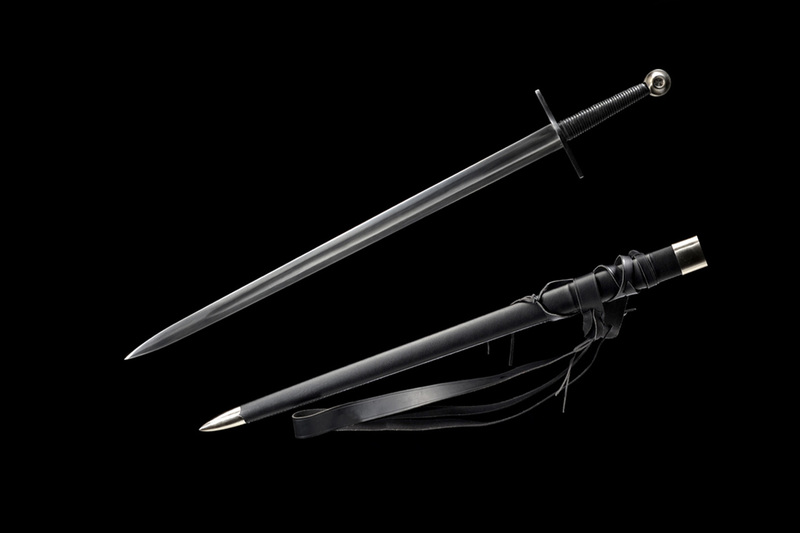 Arabic engraving on the blade as per the historical original. 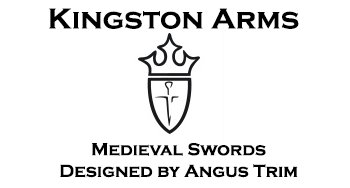 Single handed medieval arming sword with fish tail pommel - 1075 TH carbon steel blade. 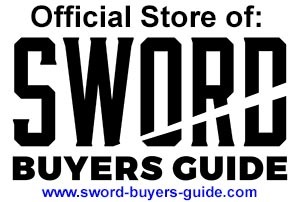 One Handed Peened Pommel Viking Sword - 1075 TH carbon steel blade with fuller. Lighter, shorter blade than model 8.